Providing you the best range of automatic concrete block making machine, cement brick machine, concrete block making machine, concrete block machine, chirag fully automatic concrete block making machine and chirag semi automatic concrete block making machine with effective & timely delivery. We provide an exclusive range of Cement brick machine to our clients, which are designed using latest technology. 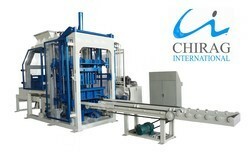 Our range of these machines is used in several industries and is available in various specifications. All the products are designed & developed under the supervision of experts. These Brick Making Machines are renowned for salient attributes like high performance, easy fittings, and high durability. Clients can avail our range at competitive prices. These Brick Making Machines are renowned for salient attributes like high performance, easy fittings and high durability. C) Travel Motor 415 V, 3 PH - 50-c/s. A.C.
Travel Reduction gear unit is used for Forward and Reverse motion. 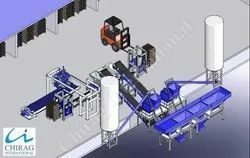 Chirag Fully Automatic Concrete Block Making Machine The cloth system adopts semi-closed screen reticular rotational feeding unit to feed materials forcedly, with evenness and even speed, ensuring product intensity. 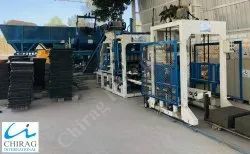 Chirag Semi Automatic Concrete Block Making Machine Fitted with special hydraulic loading unit, readily realize mass and automatic production, saving a great deal of human power, maintenance field, and circulating fund investment. Enlarge the available area of the work table: The appliance of the advanced vibration technology causes the larger work table, it makes that the productivity is increased greatly. Chirag Multifunction Concrete Block Making Machine Fitted with special hydraulic loading unit, readily realize mass and automatic production, saving a great deal of human power, maintenance field, and circulating fund investment. Enlarge the available area of the work table: The appliance of the advanced vibration technology causes the larger work table, it makes that the productivity is increased greatly. 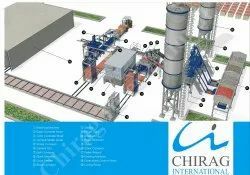 Chirag Multi Material Concrete Block Making Machine Use movement sensors (electronic slide rule) to control the precise movement between the tamper head and the mould. Chirag Multi Material Concrete Block Making Machine The cloth system adopts semi-closed screen reticular rotational feeding unit to feed materials forcedly, with evenness and even speed, ensuring product intensity. 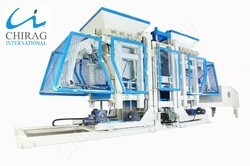 Looking for “Automatic Concrete Block Making Machine”?